A photographic identification guide to the 280 butterfly species most commonly seen in Peninsular Malaysia, Singapore and southern Thailand. High quality photographs from the area’s top nature photographers are accompanied by detailed species descriptions which include nomenclature, size, distribution, habits and habitat. The user-friendly introduction covers geography and climate, vegetation, opportunities for naturalists and the main sites for viewing the listed species. Also included is an all-important checklist of all of the butterflies of the region encompassing, for each species, its common and scientific name, IUCN status as at 2011 and its status in each country. 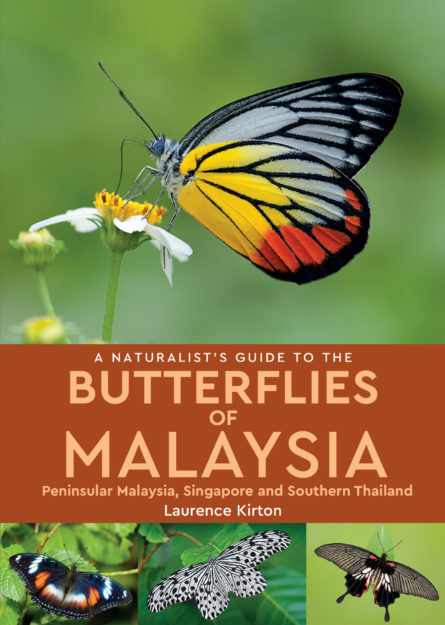 Dr Laurence Kirton is an entomologist by profession and Head of the Biodiversity and Conservation of Fauna Programme in the Forest Research Institute Malaysia. His interest in butterflies began in his childhood and has continued into his professional career as a researcher. He holds a PhD in entomology from Imperial College of Science Technology and Medicine, London, and has authored several papers on Malaysian butterflies. Size 180 x 128mm / 7″ x 5″.